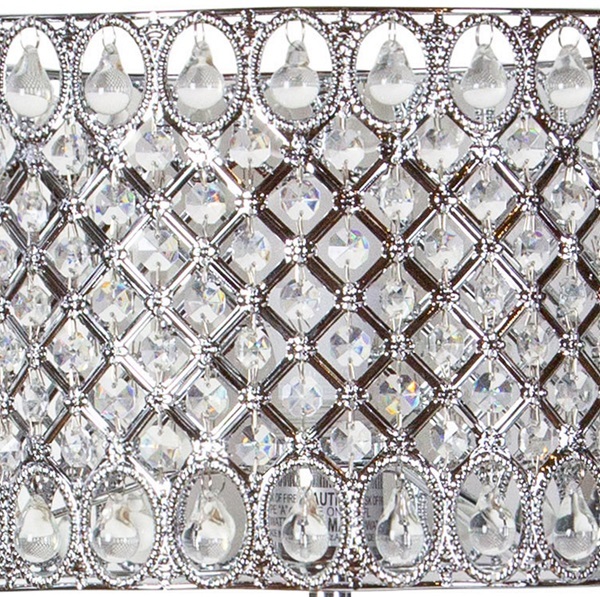 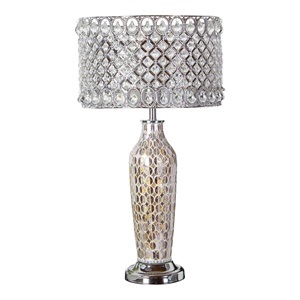 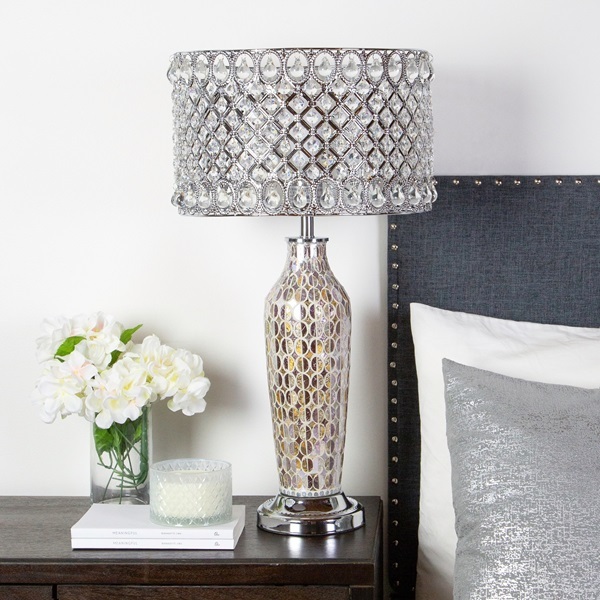 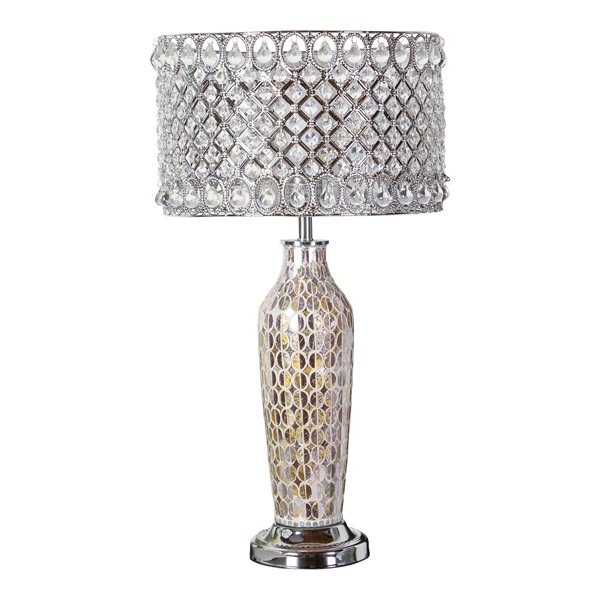 A beautifully crafted crystal glass beaded 25" table lamp with mosaic glass base. 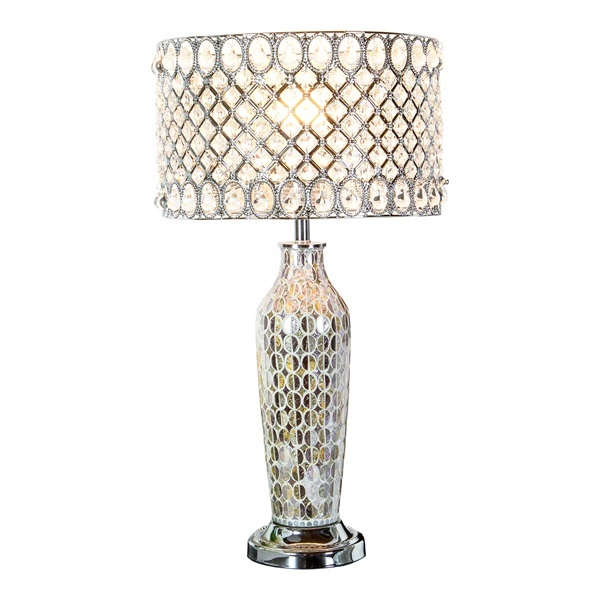 The metal shade features a simple and transitional pattern with clear hanging glass crystals. 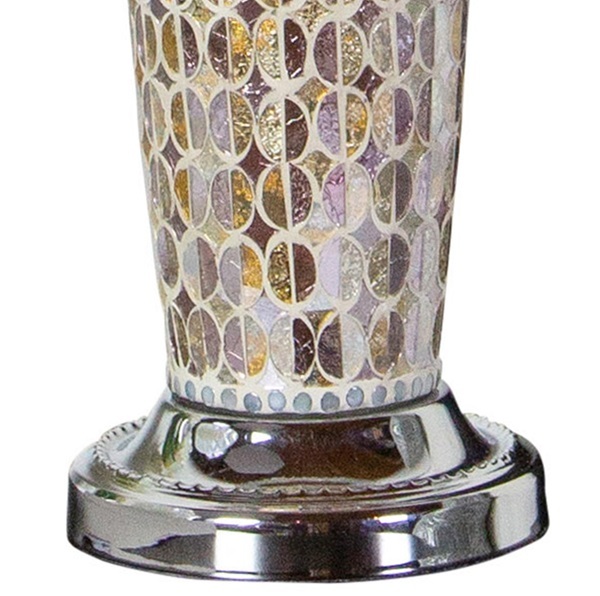 The base is an iridescent mosaic glass design with creams and pinks. 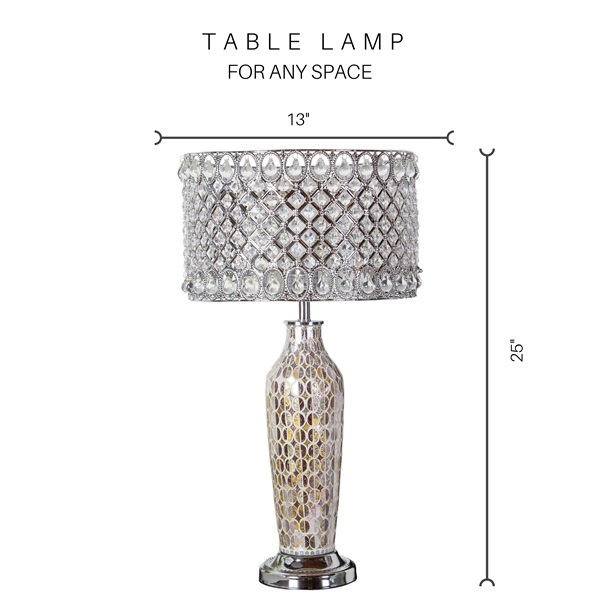 A statement piece for your living room, bedroom or office space.